Folded Business Cards are ideal to provide you with more room for the information you want to add and yet keeping its Professional elegance. Utilise the extra space on your business cards by attaching the logo, images, contact details and more that will twice the impact of your customers. You can assign a section of your card for details that would be usually neglected on a business card. 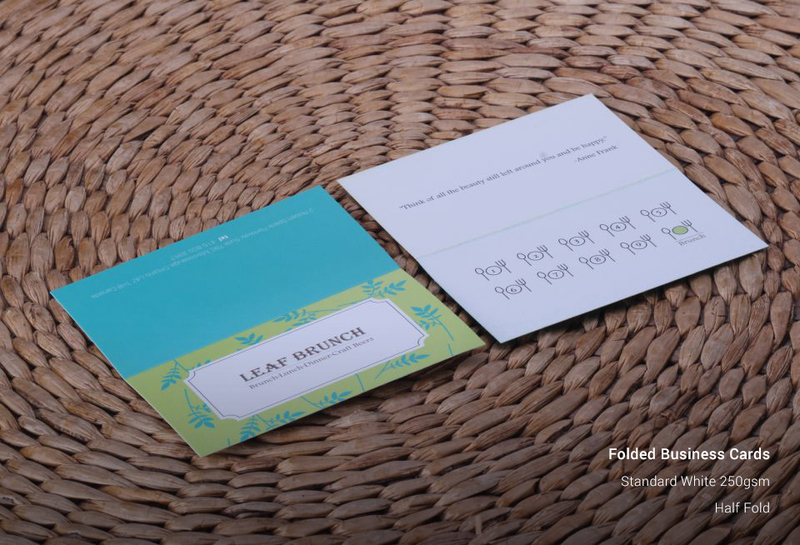 With our Custom Folded Business Cards, it provides a huge impression on your business as well as a long-lasting impact. Our expertise in this field and expert designers team made us also effective to create an appealing business card which is undeniably exceptional & noticeable. Utilizing the finest business cards and are printed in full colour, we have offered a wide variety of stocks that absolutely fits your need. Business cards are versatile and have a different usage to maximize your marketing efforts. Why settle for less when you can have more space to go wild with the most effective Fold Business Cards! 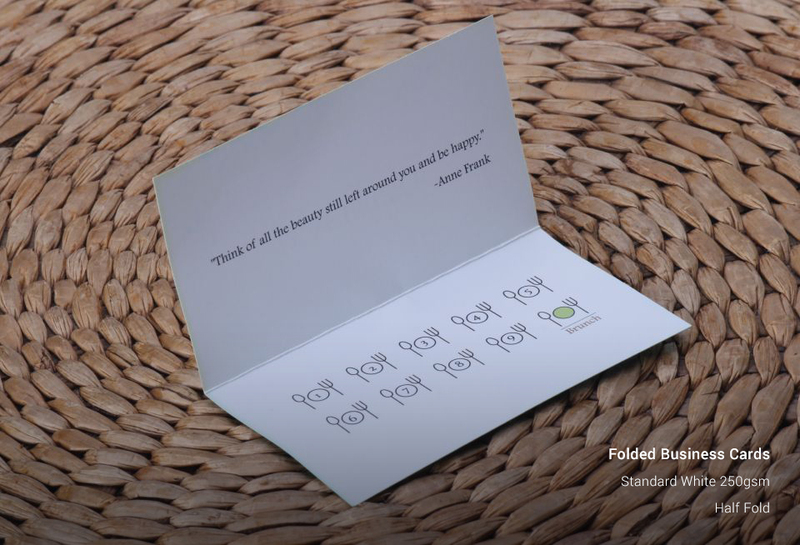 Increase your visibility and enjoy your custom fold business cards now! Have a glossy shine. Coating limits the number of ink that is absorbed by the paper and how the ink bleeds into the paper.